Family Dentist Meriden CT | Children's dentistry with dental sealants, exams and cleanings! The foundation of a great smile is a commitment to general dental care. Your six-month visits keep your teeth clean and healthy and help prevent problems down the road by letting us spot them early. We can address your unique concerns and develop a relationship that ensures continuity of care. Click on the headings below to learn more about some of the specific ways we work with you to maintain your oral health. 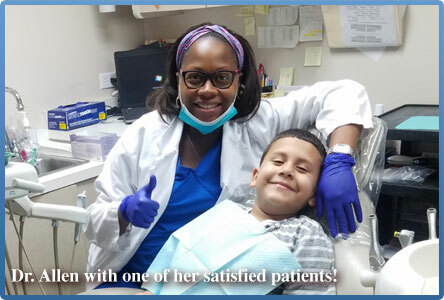 Our doctors specialize in making children of any age relax and enjoy themselves when they visit our Meriden dental office. 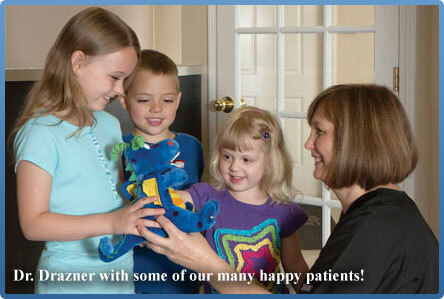 Parents will be happy knowing your kids will receive the latest advances in children's dentistry. Our team delivers top treatment with care and compassion. Dr. Drazner and Dr. Allen encourage the proper dental care habits in children and enjoy teaching them how to maintain healthy smiles. We look forward to meeting young patients for their first dental visits when they're one year old and watching them grow year after year. We want to ensure that future generations of children grow up without fear of going to the dentist. Our many happy parents tell us we are achieving those goals! Children love visiting our relaxed and cheerful office. Whether you have an active six-year-old or a scared three-year-old, our team is here to help you. You might have invested a great deal of time choosing your child's pediatrician. Who you choose to care for their oral health is equally as important. A good dentist for children knows the importance of instilling good habits early, in an environment that's comfortable and relaxed, to set up a lifetime of good oral health. We are proud to have two pediatric dentists to ensure the best care possible for your children. There are several reasons that children's teeth can be susceptible to cavities, even at a young age. Kids aren't able to brush well on their own, so parents must be involved in a child's daily dental care. This ensures both thorough brushing and the development of good dental habits. Younger kids also tend to graze, or eat frequently during the day. Each time you eat acid is created, so children's teeth have more exposure to that acid, which may lead to more cavities. Teeth that aren't thoroughly clean will also increase exposure to acid, which can be responsible for speeding up cavity development. The good news is that identifying dietary and hygiene problems, along with the application of a fluoride varnish to the mineralizing teeth, can substantially lower the risk of cavities. Many children have a difficult time doing a good job when brushing their teeth. Even adults have problems getting it right all the time! No matter how meticulous your child's brushing might be, sometimes their brushing can't reach the deeper grooves in the back teeth. Bacteria, acids, and plaque can go unchecked here, and that's the perfect recipe for decay. Decay creates permanent damage, and the only options are a filling or crown. But we can prevent any of this from happening with the application of dental sealants to those back teeth. After the teeth are cleaned and sterilized, a thin plastic clear or white coating is applied. A curing light bonds the sealant onto the teeth. The entire process takes only a few minutes. 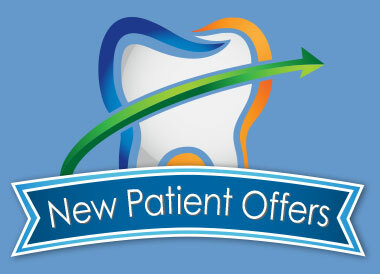 There are no shots or drills or removal of tooth structure, so it's completely painless. Applying dental sealants is one of the best preventive things children and adolescents can have done to preserve their natural teeth! Your entire family deserves a healthy smile! Give us a call today at (203) 235-5588 to schedule a visit for everyone.